I love attending graduations (and we are headed to quite a few this year), mainly because there is always at least one thing I take away for myself. This past Friday we had the privilege of watching two of our youth students celebrate their own monumental moment in their academic career. Of course in between feeding Kai french fries we made for dinner and being a human jungle gym, I was able to take this nugget of wisdom for myself. 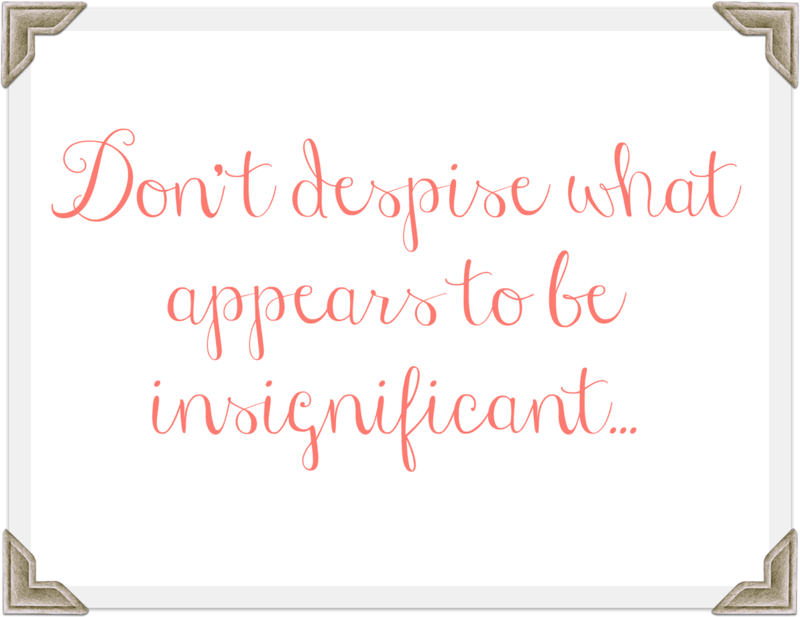 Don’t despise what appears to be insignificant. Yeah, I know if you let it sink in, it gets better and more profound. As the commencement speaker charged the graduates of staying the course of their dreams and how too often society wants to down play the insignificant moments and decisions in our lives… I began to covet those same words as my own. How wonderful to think if we all celebrated the small things in our lives that seem so insignificant. Would we be happier? Less focused on comparing? I’m not 100% sure, but I’ve decided to challenge myself to 30 days of insignificance. Join in or follow along on Instagram! I’m really excited to see what lies ahead and what change I may see in myself.